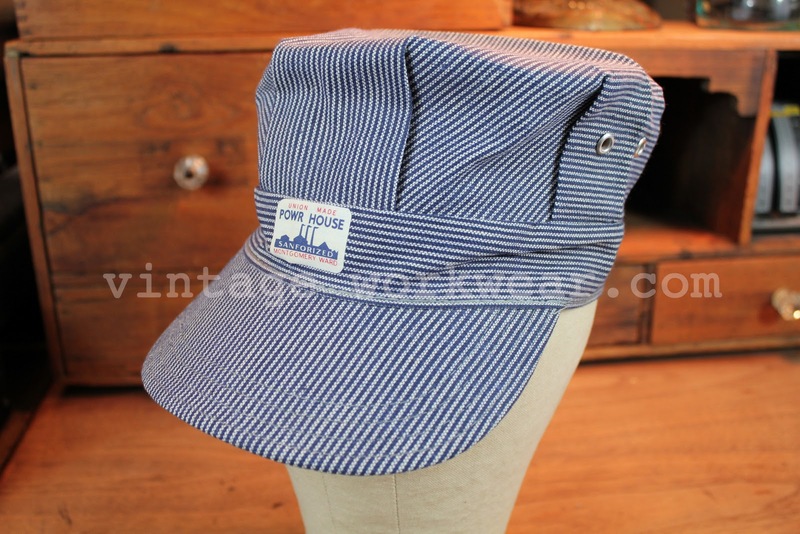 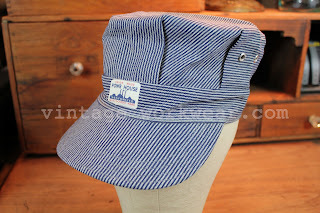 New Old Stock late 1940's early 1950's Montgomery Ward POWR-HOUSE shop cap in what is known as PINSTRIPE or BLUE OTIS STRIPE fabric. 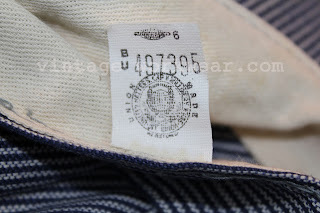 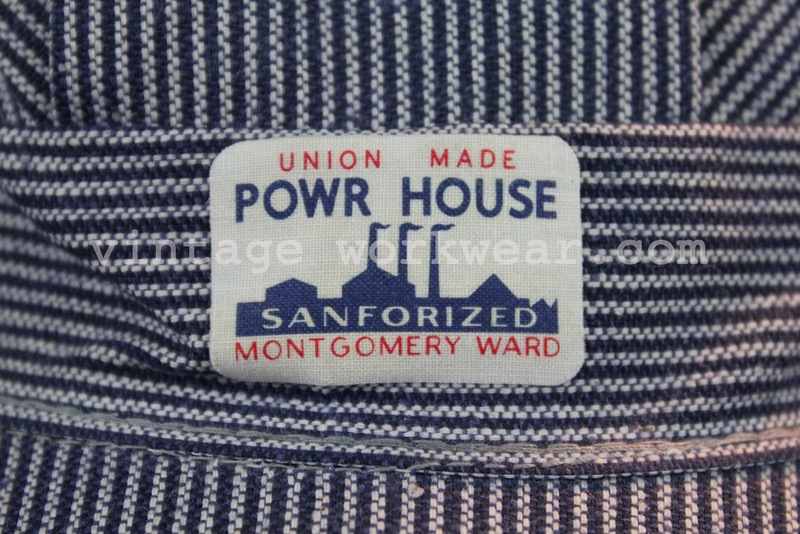 UNION MADE SANFORIZED size & style tag with original Montgomery Ward price sticker of 59¢. 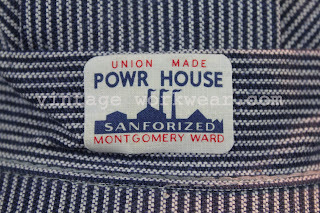 MONTGOMERY WARD POWR HOUSE UNION MADE SANFORIZED "Industrial" printed label. United Hatters, Cap and Millinery Workers UNION MADE label stamp. 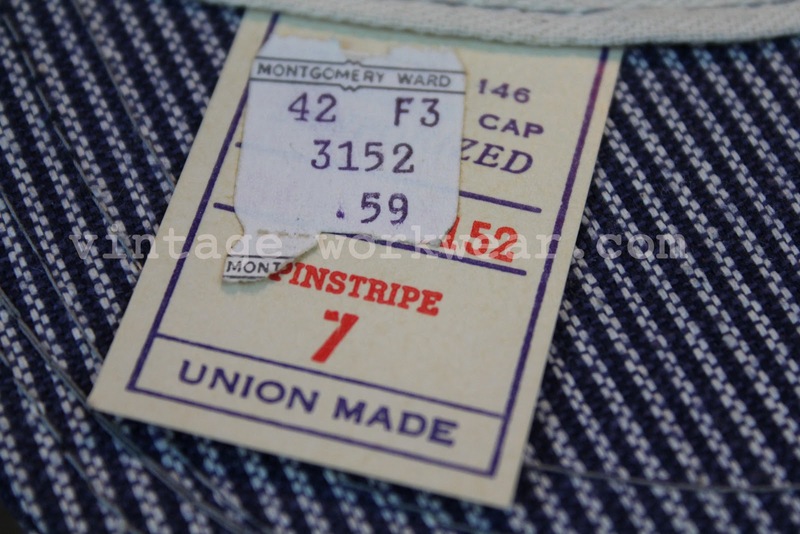 Also Allied Printing Trades Council Union Label stamp. 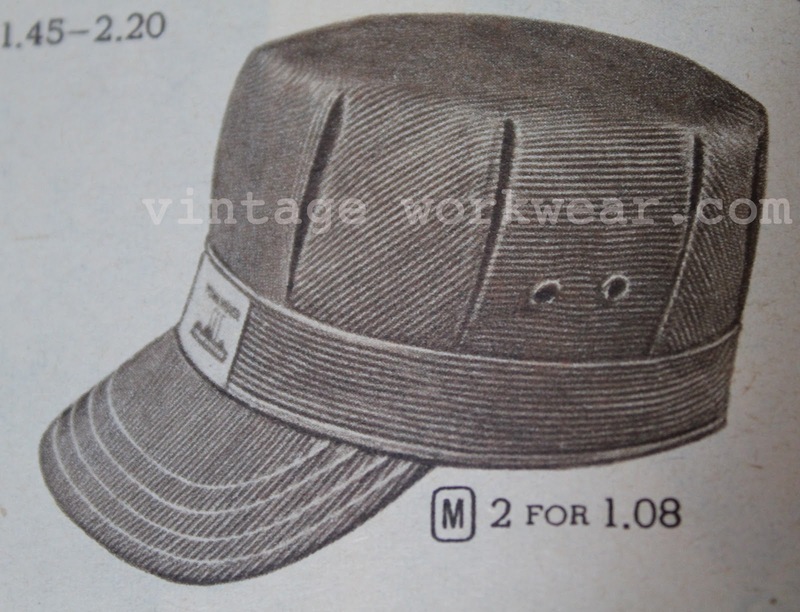 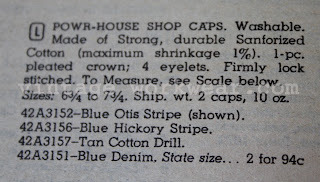 POWR HOUSE SHOP CAPS as seen in the 1951-52 Montgomery Ward Fall-Winter Catalog. 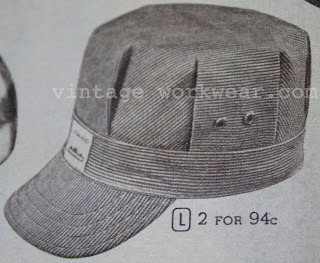 I'll take a dozen of those caps in Gray Cotton Convert, make that 2 dozen! 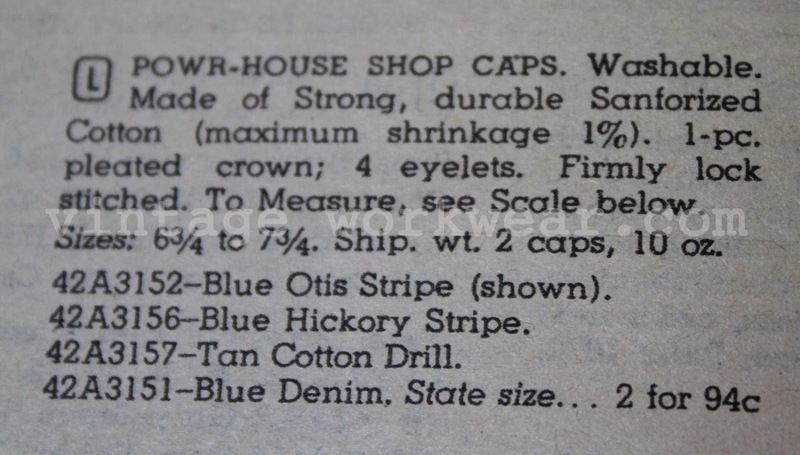 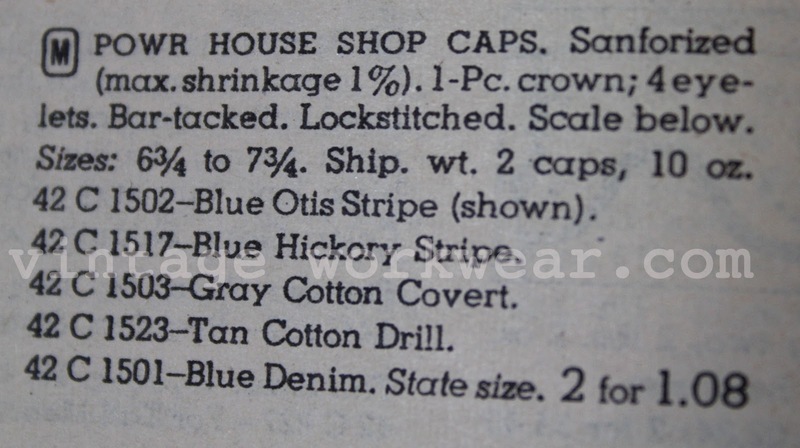 POWR HOUSE SHOP CAPS as seen in the 1953-54 Montgomery Ward Fall-Winter Catalog. 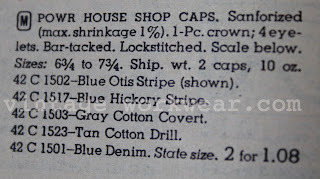 Notice price decrease (a good thing) along with no more Gray Cotton Convert (a very bad thing).